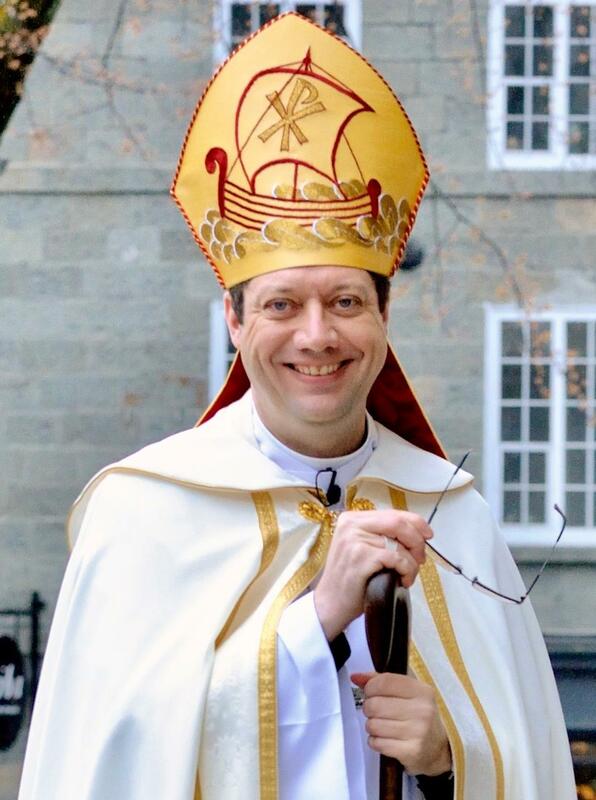 The Right Reverend Bruce Joseph Andrew Myers OGS is the thirteenth Anglican bishop of Quebec. Raised on a farm in Glengarry County, Ontario, Bishop Bruce worked as a journalist and broadcaster for the better part of a decade, including stints as a parliamentary correspondent in Ottawa and Quebec City. His ordained ministry began in 2004 as a deacon and assistant curate at the Cathedral of the Holy Trinity and in the Deanery of Quebec. Later he served as a parish priest on the Magdalen Islands and in Quebec City, and also as an area archdeacon and the Diocese of Quebec’s Missioner for Communications. Between 2012 and 2015 he served the national expression of the Anglican Church of Canada, based in Toronto, as the General Synod’s Coordinator for Ecumenical and Interfaith Relations. In November 2015 he was elected coadjutor bishop by the Synod of the Diocese of Quebec. He was ordained to the Order of Bishops at the Cathedral of the Holy Trinity on the Feast of the Ascension in 2016 and welcomed and seated as diocesan bishop on April 22, 2017. Bishop Bruce has studied theology and ministry at McGill University, Montreal Diocesan Theological College, the Bossey Ecumenical Institute and the University of Geneva. He is currently completing a doctor of ministry degree, specializing in ecumenical studies, at Saint Paul University in Ottawa. He is a professed member of the Oratory of the Good Shepherd, an international community of Anglicans who share a common rule of life. Among Bishop Bruce’s preferred pastimes are cycling, photography, writing, and travelling—a helpful passion to have as he journeys across the 720,000 square kilometres of the Diocese of Quebec!